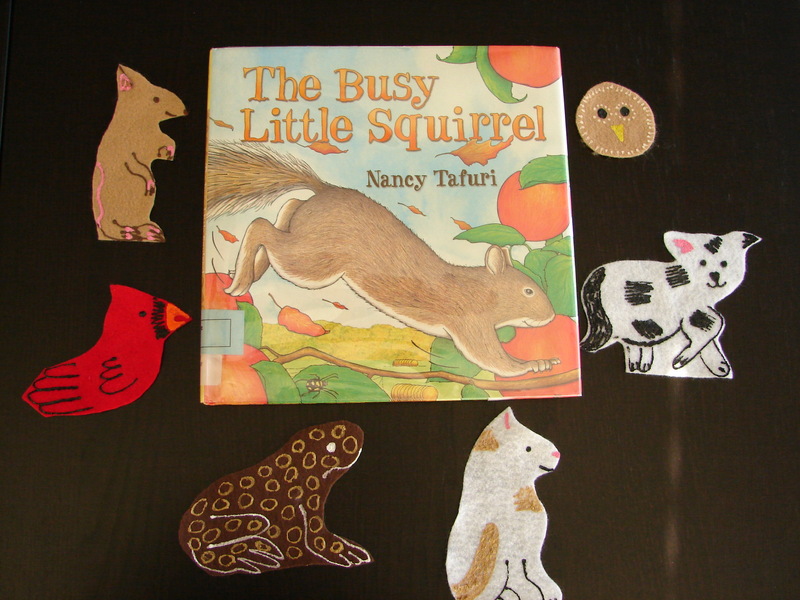 The Busy Little Squirrel by Nancy Tafuri is a nice story to introduce the season of fall. It’s a simple story that I’ve made into a flannel board. I’ve also recently acquired a cardinal finger puppet so I can tell this story using puppets! For more storytime ideas check out What is Bridget Reading? She’s hosting Flannel Friday this week. This entry was posted on September 12, 2013 by mrsshaia in Fall storytime, Flannel Friday, Puppet Stories, Video Clips and tagged Fall storytime, Flannel Friday, Puppet stories, Video clips.